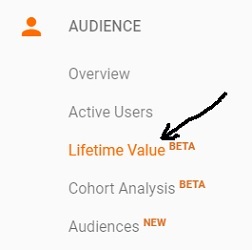 In Google Analytics, there is a report (still in beta), called the ‘Lifetime Value‘ report through which you can measure the life time value (also known as LTV) for website users / mobile app users. Lifetime value is the projected revenue (sales), a person may generate during his/her lifetime, as a customer, for your business. 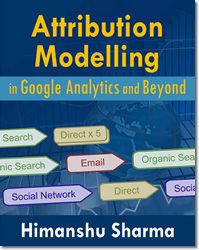 Through the ‘lifetime value’ report you can understand, how valuable website / mobile app users are to your business. 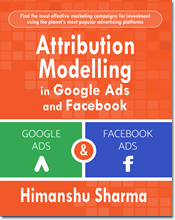 You can also compare the users acquired through different marketing channels (organic search, paid search etc) to determine the channels which brings high value users to your website. 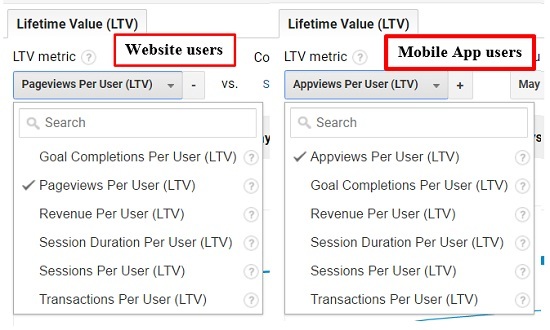 In Google Analytics, the ‘lifetime value’ report is available in both ‘Website View‘ and ‘Mobile App view‘. 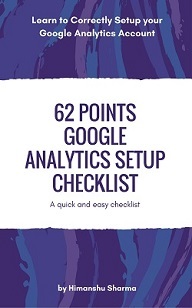 Step-1: Login to your Google Analytics account. 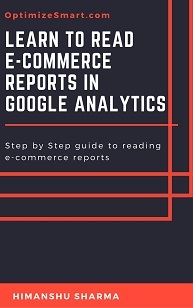 Step-2: Navigate to the view which has been collecting ecommerce data. 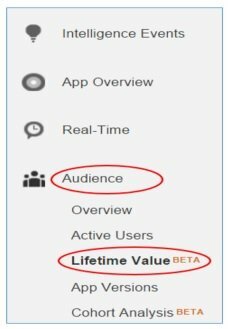 Going forward whatever I explained about the ‘lifetime value’ report is equally applicable to both website users and mobile app users. Any user which is acquired during this date range is included in the ‘Lifetime value’ report. 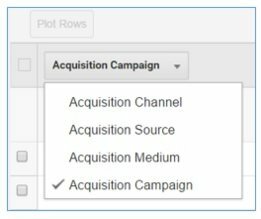 You can also set custom acquisition date range. 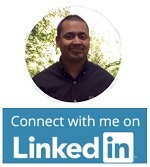 Note: Here, user refers to your website / mobile app user. It is the cumulative average appviews per user. 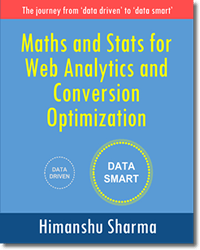 A cumulative metric is the one, whose value increases by successive additions over time. Users => total number of app users acquired during the selected acquisition date range. Day 0 shows the cumulative average app views of users on the day of acquisition. Day 1 shows the cumulative average app views of users in the first day after acquisition. Day 29 shows the cumulative average app views of users in the 29th day after acquisition. Week 0 shows the cumulative average app views of users in the week when they were first acquired. 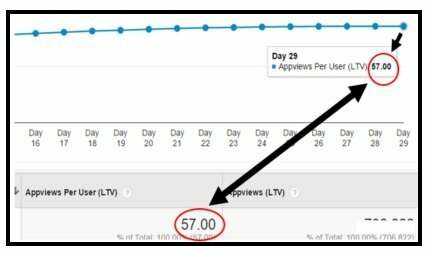 Week 1 shows the cumulative average app views of users in the first week after acquisition. 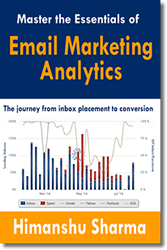 Week 4 shows the cumulative average app views of users in the fourth week after acquisition. 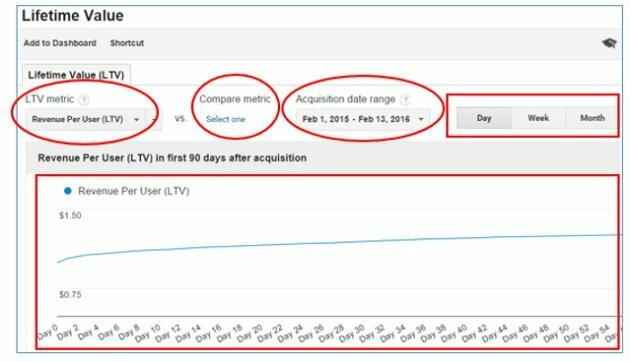 Note: Google Analytics calculates, cumulative LTV metrics for up to first 90 days after acquisition. 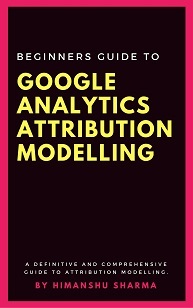 It is the cumulative average pageviews per user. Users => total number of non- mobile app users acquired during the selected acquisition date range. Day 0 shows the cumulative average pageviews of users on the day of acquisition. Day 1 shows the cumulative average pageviews of users in the first day after acquisition. 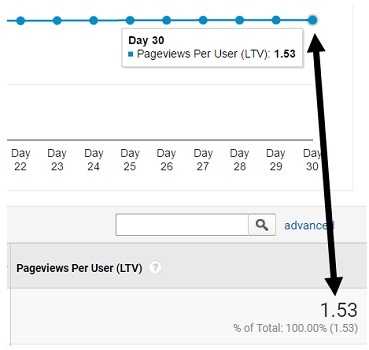 Day 30 shows the cumulative average pageviews of users in the 30th day after acquisition. 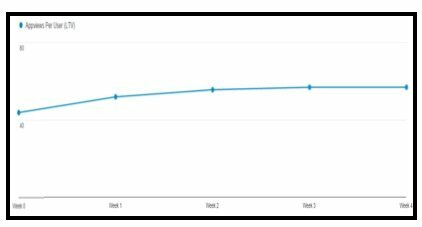 Similarly, if you want to see the x-axis on the graph to show one data point for each month, instead of one data point for each day or week, then select the ‘month’ tab. It is the cumulative average goal completions per user. It is the cumulative average revenue per user. It is the cumulative average session duration (in seconds) per user. Let us convert hours and minutes into seconds. It is the cumulative average transactions per user. 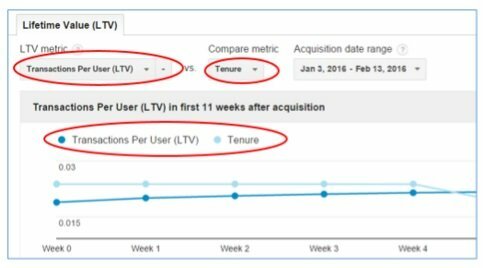 Here we are comparing ‘Transactions Per User (LTV) with ‘Tenure’ metric. 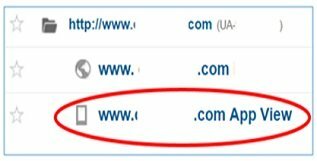 ‘Tenure’ is the number of users who have been with your business for a particular time duration (days, weeks or months). 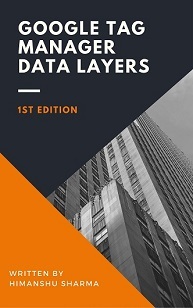 These dimensions help you in analyzing the various LTV metrics in different context. 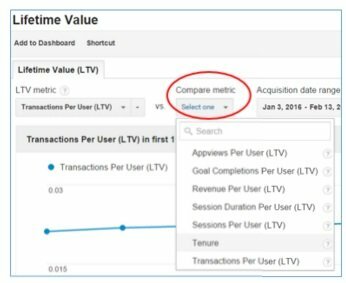 Note: You can’t apply secondary or custom dimension to the ‘lifetime value’ report.